We have been serving over 500 food-preneurs who started from seed and have graduated to co-packers and/or their own facility. Come join us for our birthday party on March 23! Helping entrepreneurs build their business by providing affordable space and counseling. Upcoming Course: I Have a Food Product. Now What? Learn everything you need for the most important parts of starting your food business. Classes start February 27th! You don’t just get space. You also get advice. 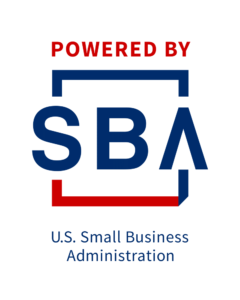 We provide one-on-one business counseling to individuals who are thinking about starting a business, have just launched a business or are existing business owners needing additional information or advice. We assist individuals with permits and regulations as well as developing loan packages or business plans. Are you a woman and thinking of working at the Entrepreneur Space? Over 50% of our clients are women! We are provided services the QEDC Women’s Business Center funded by the SBA. Women entrepreneurs are provided counseling services at the incubator or at the QEDC offices in Kew Gardens. They are also invited to all Power Networking Breakfasts. Additionally we help all eligible clients become certified as M/WBE. For additional information WBC services contact Andrea Ormeno at aormeno@queensny.org. The Entrepreneur Space is operated by the Queens Economic Development Corporation, a 501(c)3 non-profit.